Who has never dreamed of being a programmer? I know I did! That is why I have become a programmer when I was rich enough to buy myself a PC. Actually, it all started with my Sinclair Spectrum computer, which was packing an impressive 16KB memory module, if I remember it right. But I digress! If you've ever dreamed of becoming a programmer, there's a new site that you should go and visit right now! 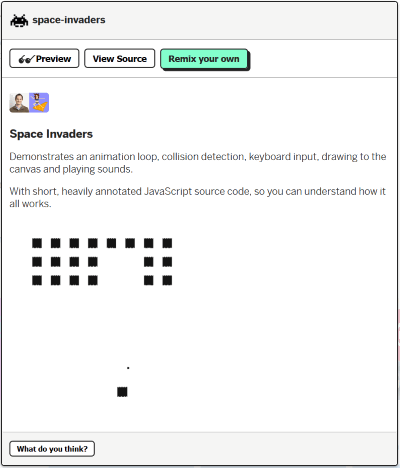 Glitch is an online IDE which allows you to play with other people's code, editing it to your liking. And the best part is that you can instantly deploy and host your fantastic creations - for free! Glitch appears to be the ideal candidate not only when it comes to building apps and websites, but also those popular bots that have somehow managed to find their ways into our busy lives. You can also collaborate with other people on various projects - how cool is that? The Glitch community is quite active and friendly, allowing remote buddies (or total strangers) to give you a hand when you get stuck. Glitch works using the Node.js run-time environment, and there are lots of projects that you can try to edit, remix and combine. I hope that I convinced you to visit Glitch and at least try to play with some of these projects. Here's the link to the site again. I have mixed feelings about Microsoft. I like most of the things they've done under their new leadership, but I think that they can do even better, at least in some areas. 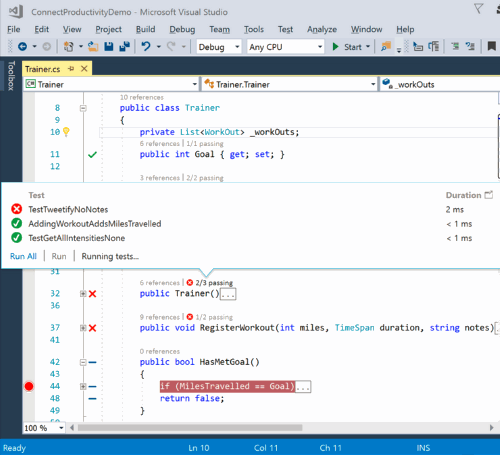 Take Visual Studio Professional, for example. It's an excellent IDE, but I had to purchase each and every new version, to get access to the newest and greatest features. Sure, you are supposed to pay for innovation, but what Microsoft really needs (and needs it TODAY!) is a huge number of high quality apps for its store. And by asking money (and quite a lot of money, if you ask me) for its VS Pro IDE, it limits the number of developers who are able to create fully functional, polished, useful, Windows-based applications. Let's get back to the news, though. Microsoft has recently released Visual Studio 2017 for Windows and - surprise! - a preview of its new Mac development suite. The installation screen has been revamped, getting a simple feature we've all longer for - and for quite some time! Yes, we now have the ability of installing only the components that interest us. Why would you want to install the C# programming language components, for example, if you are a happy VB user? I know that they're all interlinked, and some components are used by several programming languages, but it looks like Microsoft has finally done the right thing, keeping them separate. According to the software giant, the new update also brings a big speed increase, along with a much tighter GitHub integration. Oh, and there's a new installer that's so packed with exciting features that it makes third party installers redundant. Talk about destroying other people's software development businesses in a flash! I'll have to admit that I like the new installer, though. A lot! You can choose only the desired components and language packs that will be bundled with your application, for example. This will lower the size of your application and help it load faster, of course. Have I mentioned that there's also a free version of VS? I know I've bashed Visual Studio a little bit at the beginning of the article, but now that I think about it, this IDE (even the free Visual Community Edition) is fantastic! I know, you've got a modern Wi-Fi router in your home, and yet it doesn't work that well. Actually, it works OK when you are close to it, but signal strength starts to decrease the moment you've moved in the next room. This shouldn't surprise anyone, after all. After one of its recent surveys, Data Alliance has revealed that security, reliability and data speed are the top three reasons why enterprises prefer wired networks. Whenever there's a problem, inventors are going to start looking for solutions, though. That's how mesh networking solutions were created. And for $300...$500, you are now able to get a decent Wi-Fi connection pretty much anywhere in your home. Companies such as Luma, AmpliFi and even Google have released their so-called "Wi-Fi systems". This is the easiest way of getting a strong network signal, without having to install and use additional equipment (range extenders, and so on). Simply buy and place these custom routers in each room, and then let them communicate with each other, and with the connected clients. Unlike range extenders, these (let's call them) satellites don't need complex management either; the setup process is straightforward and can be done in 10 minutes or so. 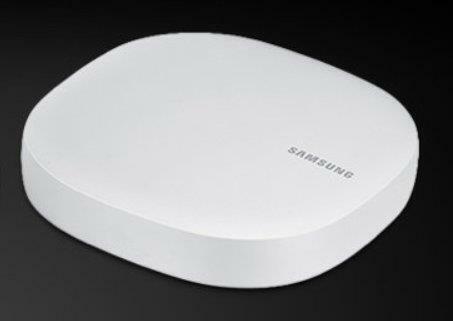 Samsung has recently announced the creation of its own mesh system, called Samsung Connect Home. It will sell for close to $400 for a pack of three devices, which should be more than enough to cover a medium-sized house. Of course, if you've got a larger home (and the needed money) you can purchase more satellites, which will seamlessly integrate into the existing network. Samsung will also sell a "Pro" version of the product, which is designed for businesses. Samsung Connect Home Pro has a faster CPU, so it is able to stream more data - and do it faster. The price for three Pro devices will be about $750, though. So why would you want to buy Samsung's product, when there are quite a few similar mesh systems on the market? Well, mainly because you love Samsung, you've bought quite a few devices for them, and you'd want them to be perfectly integrated into the same system.